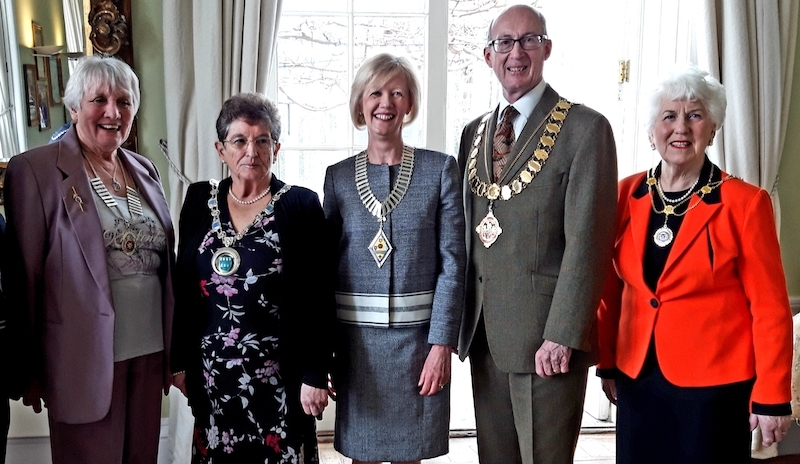 Sevenoaks Club President Jill Davison hosted the annual luncheon at the St Julian’s club. 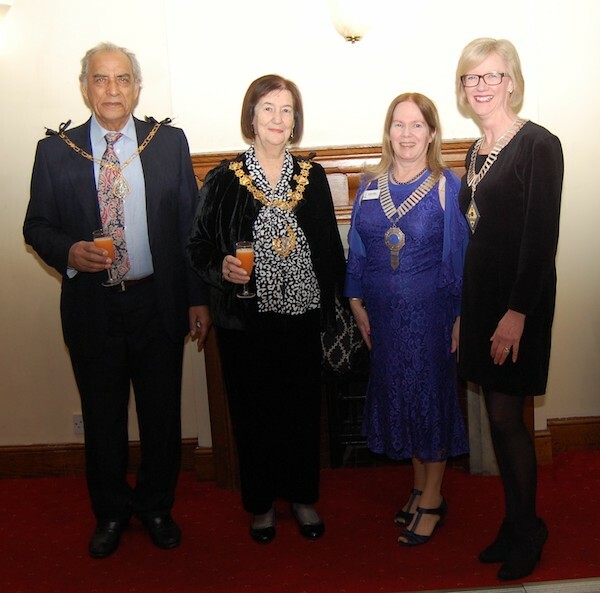 Guests included Regional President Carol Infanti, Chair of the Council Pat Bosley, Mayor Roddy Hogarth and his wife Mary Hogarth. Also present were members from SI Bromley and SI Croydon. 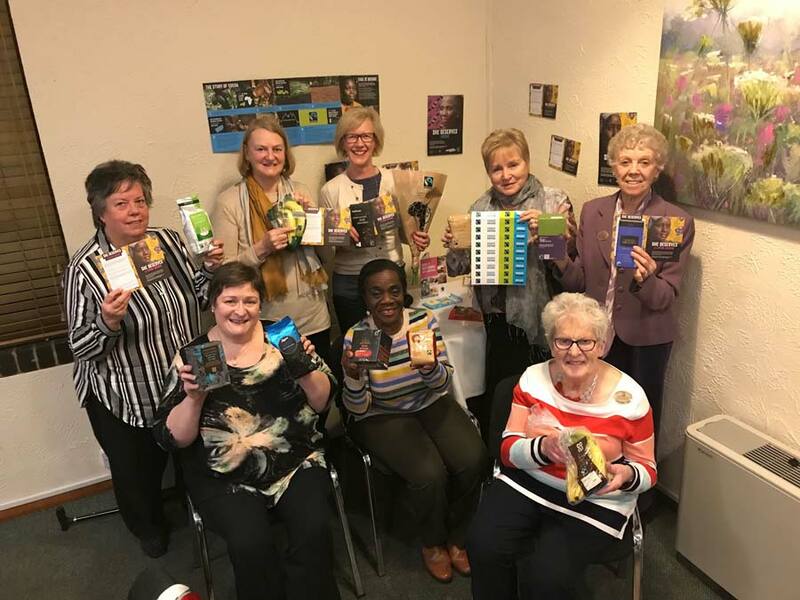 Regional President Carol Infanti joins Heather Bailey and members of SI Croydon and District to mark Fair Trade fortnight. 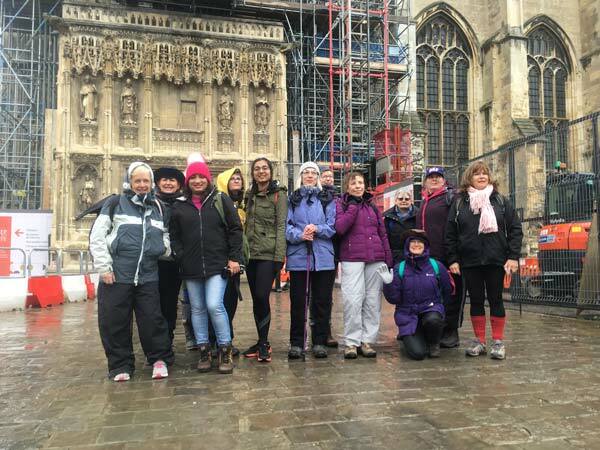 Fourteen Soroptimists from Canterbury, Folkestone and Croydon set off from Canterbury Cathedral on the first leg of the Via Francigena. We were seen off by members of the Thanet club. This pilgrims route was established in 990 in the footsteps of St Sigeric. 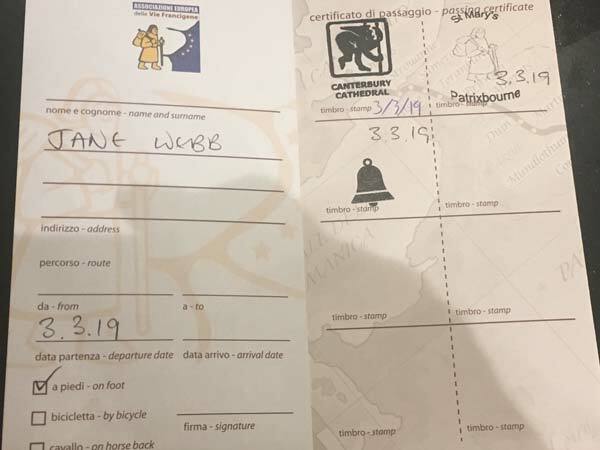 There are 79 stages between Canterbury and Rome. The whole distance is 1800k and the UK section, between Canterbury and Dover, is 30k. Walking the Via promotes Sustainable Development Goals 1, 3, 8, 11, 12, 15 and 17 as well as the SIGBI theme “Think on it”. 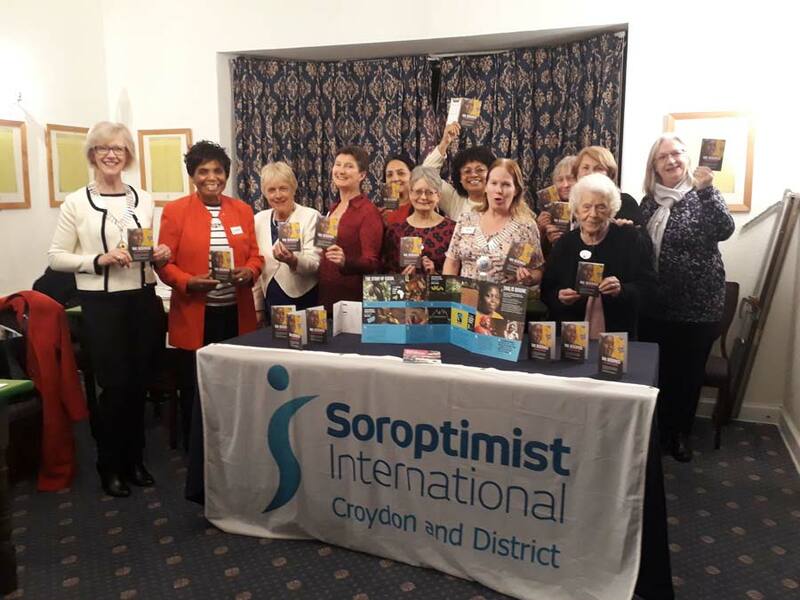 At the same time Soroptimists from SI Lecce, SI Sienna and SI Aosta in Italy were also walking and so we celebrated international friendship with shared photos and phone calls. The Italians had better weather than us! 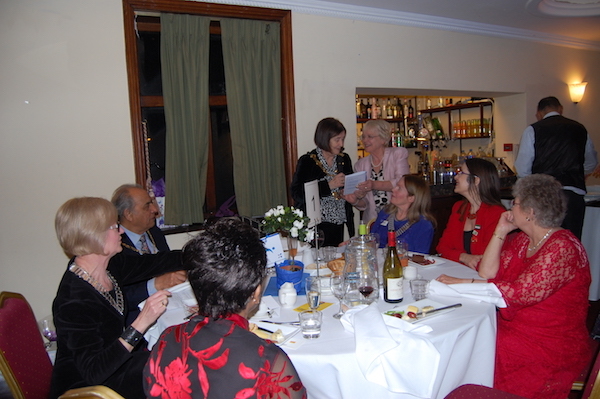 We also celebrated International Women’s Day by donating to the Meru Women’s Garden Project. We walked from Canterbury to Shepherdswell and have the passport stamps to prove it. We will walk the remaining UK stretch from Shepherdswell to Dover later in the spring. You are welcome to join us. 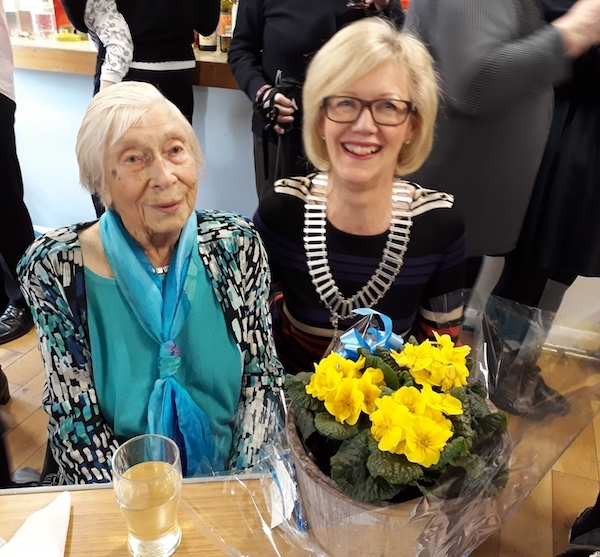 Members of the Region Joined Jo Spencer, her family and friends to celebrate her 100th birthday in January 2019. 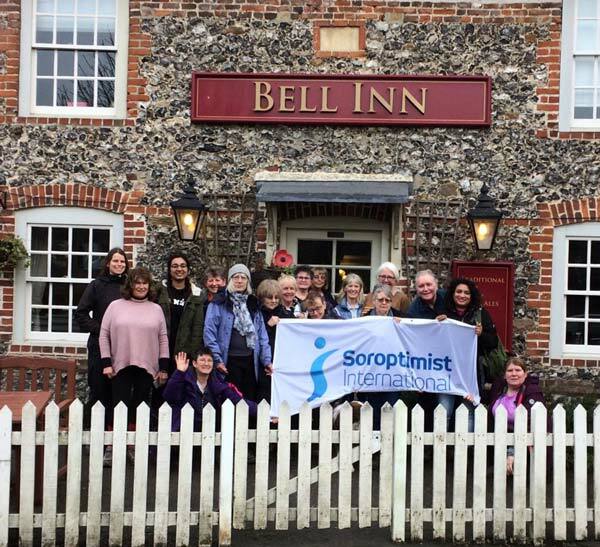 Jo’s daughter Ann, arranged a celebration lunch for family, friends and sister Soroptimists. 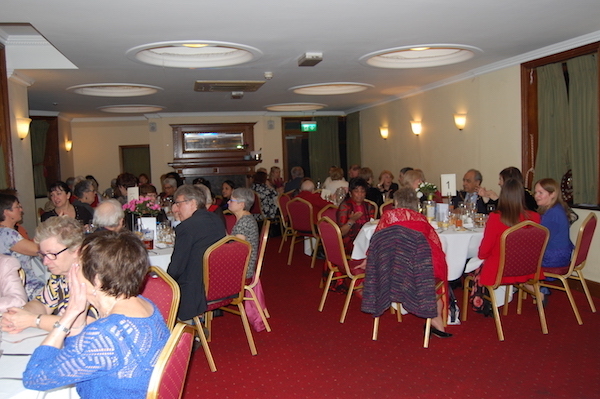 It was a lovely occasion and good to see many of our members there. 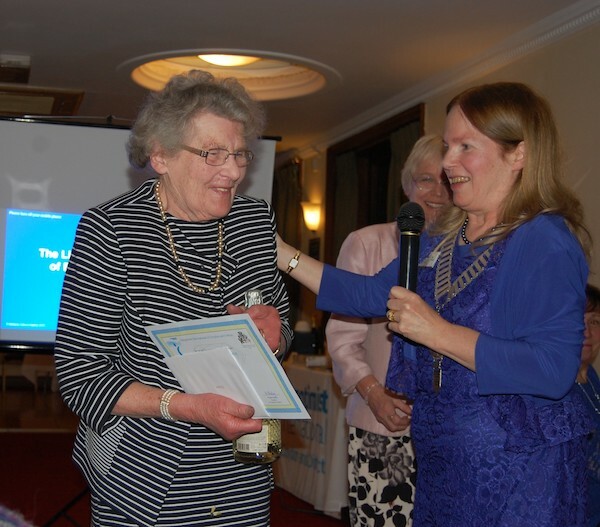 Last year at the regional lunch in Tenterden Jo received her 50 years membership award and Ann 25 years, another great achievement. 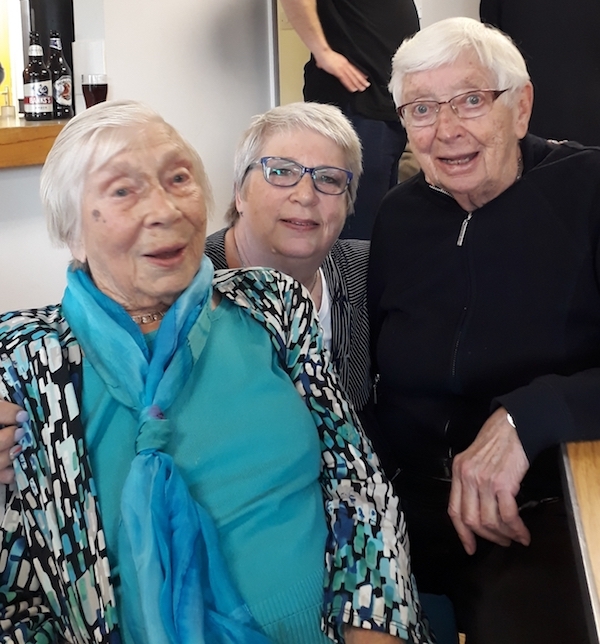 Photos – Jo Spencer and Carol Infanti, Regional President; Jo with daughter Ann and Jo’s friend Juanita who joined SI Ashford at the same time, 50 years ago.